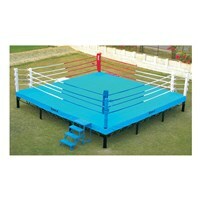 Made of Heavy Duty steel for extra stability and durability of the ring. 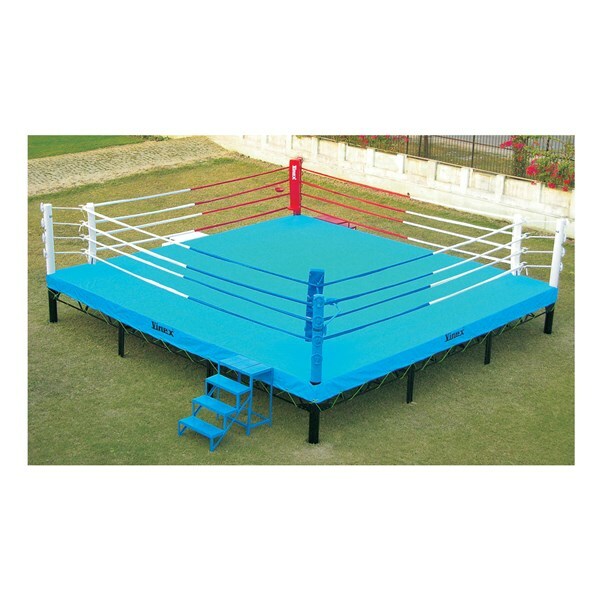 Corner posts made of Heavy Duty steel (4" diameter) with screw loops for tightening the ring ropes. Ropes are fully adjustable and are covered with the finest quality fabric. Corner Cushions covers are made of PVC coated fabric and filled with extra durable dense foam for better protection. Floor Cushions are made of 10 mm closed cell high density E.P. 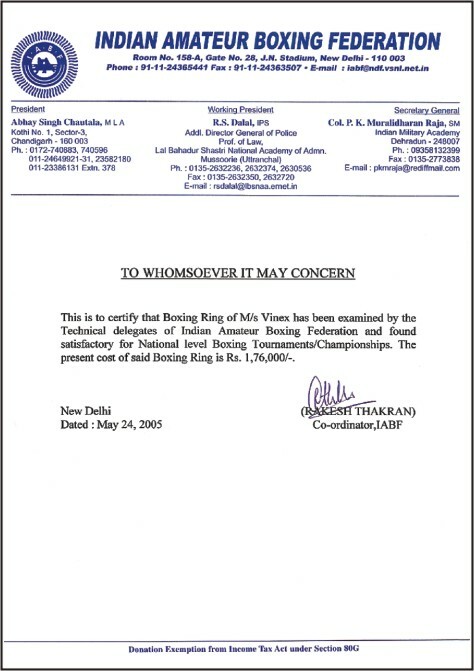 for shock reduction. Floor is covered with PVC coated fabric for non-slippery surface. Platform made of seasoned hard wood. Also includes 2 stools, 2 spit bins and 3 stairs.